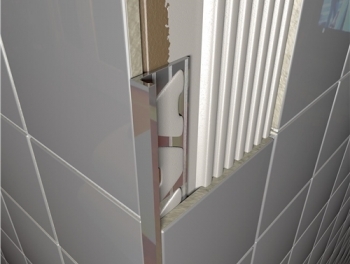 Tiling is becoming one of Ireland's most popular wall and floor coverings, but to achieve that professional finish, you need to choose the perfect tile trim to complete your project. Tile trims give the ideal finishing touch to your project as well as protecting edge and corner tiles from damage. 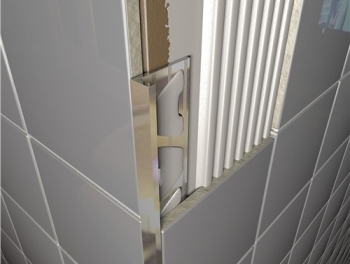 Here at Tiles Direct, we stock a great choice of tile trims at the lowest possible prices. 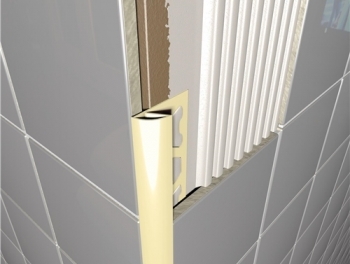 We offer a choice of PVC and metal tile trims and we even have a choice of colours and styles. Whatever look you are hoping to achieve, we can help you to create the ideal project. 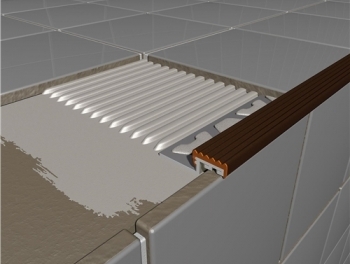 A tile trim is essential for covering the external corners and edges of tiles. 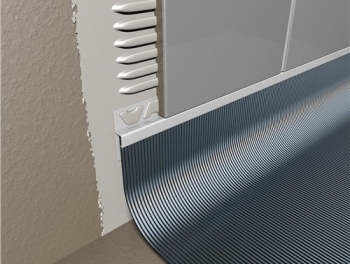 Having been around for a long time, tile trims protect these fragile and exposed edges from being chipped or cracked as well as reducing the risk of injury from contact with the rough exposed tile surface. Not only that, but tile trims are the easiest and most attractive way to give your finished project that professional look. Choosing the right colour tile trim to match the shade of your tiles and to complement your home decor is important. 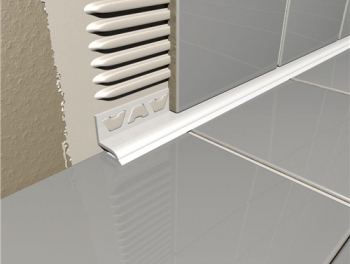 Here at Tiles Direct we have a choice of white or cream PVC tile trim to ensure the perfect match. 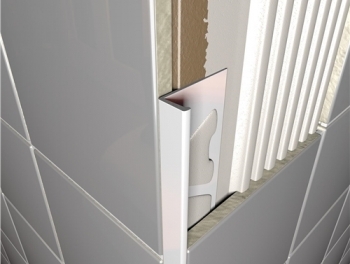 Alternatively, why not go for one of our attractive metal trims in either chrome, stainless steel or aluminium? 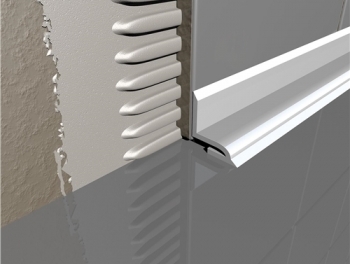 You can also choose between two different styles of tile trim - either the traditional round edged trim for a classic appeal or a more modern square edged trim for a stylish contemporary look. To complete bathroom projects, you will need to use a bathseal. We offer a choice of either under tile or over bath seals to help you get the look that you have in mind. 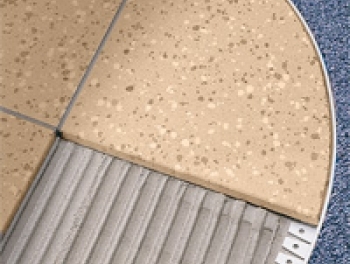 We also have specialist tile to vinyl capping for use with vinyl flooring and PVC stair nosing to make tiling steps as easy and attractive as possible. To get the right look for your finished project, you also need to be sure that you have chosen the correct trim thickness. 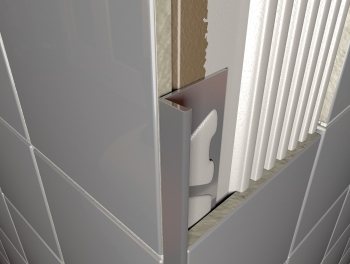 To make it really easy for you, we offer all of our available trims in a choice of four different thickness from 6mm right up to 12 mm so that finding the right one for your project is a breeze. 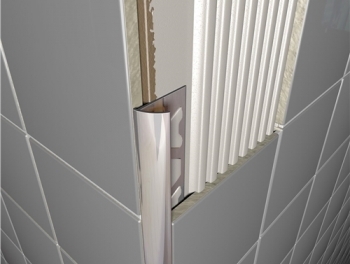 Visit Tiles Direct today and discover our impressive range of tile trims. You're sure to find the perfect trim to complete any project to a professional standard at a price that won't break the bank.